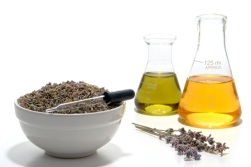 Natural skin care oils are truly one of the best kept secrets in natural skin care. Long before modern day creams, serums, and lotions arrived on the scene, essential oils and plant oils were an important part of daily beauty regimes. From ancient Egypt to ancient Rome, these natural oils have been used throughout history to improve complexions and to treat a variety of skin conditions. Sure they smell divine, but did you know essentials oils can also be used to help enhance the health and beauty of your hair, skin, and nails? While the use these natural skin care oils is generally safe, there are a few precautions. For more information, the National Association for Holistic Aromatherapy (NAHA) provides an excellent list of frequently asked questions regarding essential oil safety. Antiseptic and anti-fungal bergamot oil is helpful for a variety of problem skin conditions, including acne. **Increases photosensitivity. Nourishing, tightening, and revitalizing, carrot seed oil is ideal for dry, mature, and aging skin. This rejuvenating oil also improves skin tone and elasticity, stimulates sebum production, prevents wrinkles, and moisturizes skin. Women have relied on lavender for centuries to keep their skin clean, clear, soft, and supple. Australian aborigines have been using tea tree oil for it's healing properties for centuries. In aromatherapy, some vegetable and plant oils are commonly referred to and used as carrier or base oils. These natural skin care oils are often used to dilute essential oils before applying them to the skin. There quite a few multi-tasking vegetable and plant oils that work wonders for the skin. Aside from being great skin moisturizers, many vegetable and plant oils effectively cleanse and protect the skin. Great for all skin types, almond oil works wonders for dry, mature, and sensitive skin. Anti-inflammatory and moisturizing, this also helps reduce dryness, itching, and skin inflammation. Packed with vitamin A and minerals, apricot oil is perfect for dry, mature, sensitive, and dehydrated skin types. Softening and soothing, apricot oil is also especially beneficial to those suffering from dermatitis and eczema. 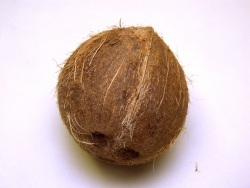 If you are looking for a multi-tasking natural skin care oil, look no further than coconut. Castor oil has been used for thousands of years for its healing properties, and is considered by many to be one of the best natural skin emollients available. Best known for its use in preventing and treating stretch marks, cocoa butter has countless other skin uses and benefits. Packed with natural antioxidants, and rich in vitamin E, cocoa butter helps soothe, hydrate and balance skin. This site was created in order to share information about the benefits of choosing natural skin care, and should not be construed as a substitute for medical treatment or diagnosis. The claims about ingredients and products throughout this site has not been evaluated by the US Food and Drug Administration, and are not intended nor approved to treat, cure, diagnose or prevent disease.